02.01.2014. Hvino's new project Georgian Wine Catalogue is now open for data collection: Winemakers and wine traders can add their products. Catalogue will be opened for users as soon as the database is completed. If you are a company interested in adding your products to the database, please e-mail us via Hvino News or add your comment on our website or facebook page. We will send you the link to Catalogue and other information. Hvino's Georgian Wine Catalogue, already covered by Georgian media (Georgia Today, Agenda.ge, BusinessPressNews, BPI), will be the first online guide on high-quality Georgian wines. 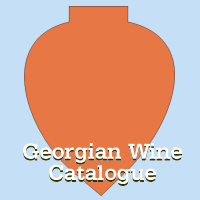 The Catalogue is targeted primarily at consumers who buy Georgian wines in the world's wine stores. Catalogue's specific feature is the independent wine rating. It is calculated according to formula developed by Hvino's experts, to integrate international ratings and medals into a single score. To make it easier for shopper, the Catalogue has a mobile version. It can be used actually while standing by the wine shelf. Thanks to independent rating, the Catalogue helps the shopper to select the best wine from what is offered by the wine store. The Catalogue search can be done either in Latin or Cyrillic letters, and the wine information is displayed both in English and Russian, to ensure maximum user convenience in post-Soviet countries as well as globally.